Soak raw cashews overnight (6 hours at least). This is an important step as this softens them and makes blending a breeze. Strain and place cashews in blender + lemon juice + dash of sea salt + some water. I recommend blending in batches and adding water as needed to keep the blades turning. Blend until super smooth. Add some chives towards the end of blending. Reserve some chives for additional stir-in and garnish. 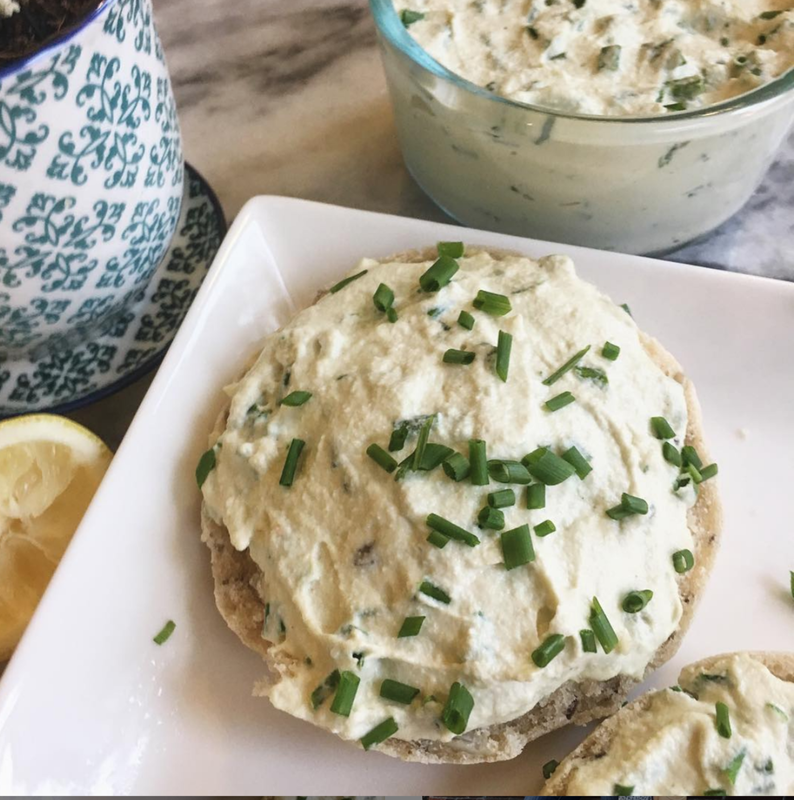 Because this is plant based, and doesn’t have dairy - you get to skip the cholesterol, excess sodium, and saturated fat that often makes up store-bought dairy cream cheese and spreads. Cashews = healthy fats, protein, iron, magnesium, potassium. Making this spread also means you can control the amount of sodium. Additional add-ins like smoked paprika, nutritional yeast, other herbs would also be delicious. Experiment away! Store for a few days in refrigerator or freeze portions.